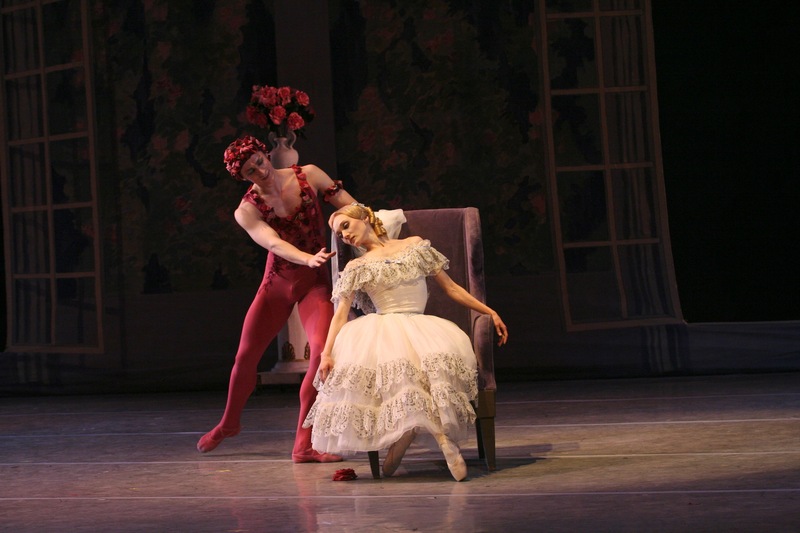 The Mariinsky Ballet is bringing two Fokine ballets on tour, but I wish they would bring more. We will get to see Chopiniana (Les Sylphides) at the Brooklyn Academy of Music Jan. 24–25 (although the season starts the 15th), and the Kennedy Center audience will see Le Spectre de la Rose and The Swan Jan. 27 to Feb. 1. But I wish somebody would do Petrouchka again—or how about The Firebird? About two years ago I saw The Royal Ballet dance Fokine’s magnificent Firebird. I was blown away, not only by the haunting music, the clarity of the storytelling, and the spectacular visuals (they use Goncharova’s designs from 1926), but also by the glimmers of Fokine’s influence on Balanchine. You know all those arm entwinings in Balanchine works when the dancers thread through or under someone else’s arm? It’s there in Fokine’s 1910 Firebird. You know the squats of the “goons” (drinking companions) in Balanchine’s 1929 Prodigal Son? That’s there too. Every choreographer is influenced by those who came before. As great and prolific as Petipa was, his ballets had become formulaic by the turn of the century. Fokine brought a fresh wind by emphasizing artistic cohesion instead of displays of virtuosity. His revolutionary platform is documented in a brochure sponsored by New York Community Trust (among other sources). In it Fokine declares that the movement, music, and costumes must all aim harmoniously toward unity of expressiveness, toward “the freedom of artistic fantasy.” He was the first choreographer Diaghilev worked with and Balanchine was the last. (In fact, it was Fokine’s Pavillon d’Armides that inspired the impresario to dream up a ballet company to take to Europe.) There is no doubt that Fokine, in his zeal for expressive unity, was a precursor to Balanchine. Just look at Les Sylphides (Chopiniana) and then look at Serenade. They are both ethereal, both exquisitely poised on the line between form and narrative. They both depict a poetic, windblown vision of musicality and sisterhood. Fokine was not only a bridge between Petipa and Balanchine, he was also a bridge between modern dance and ballet. 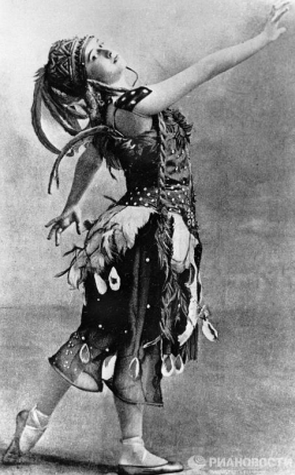 Smitten by Isadora Duncan when she first came to Russia in 1905, he too did away with the corsets of tutus, he too insisted on classical music rather than designated ballet composers. He wanted ballet to have artistic integrity, not merely entertainment value. He brought that integrity to Ballet Theatre (now American Ballet Theatre) when it started in 1940. Unfortunately he died just two years later at 62, and the new ballets he was working on couldn’t be finished. 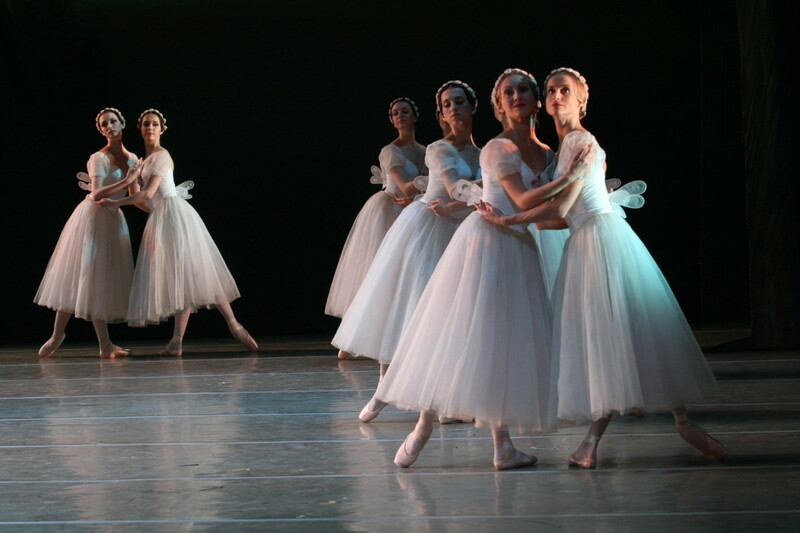 But in this 75th anniversary year of ABT, the company will bring back Les Sylphides for its spring season. Of course I wish they would deliver more than one Fokine ballet…. This isn’t the first time I’ve complained that we don’t see enough Fokine. Back in 2008 when I felt we were seeing loads of Petipa with a smattering of Nijinsky and Massine, and hardly any Fokine, I posted this diatribe. Michel Fokine is a central part of our dance DNA. I encourage everyone who will be near BAM or the Kennedy Center to go to see these wonderful ballets danced by the Mariinsky.